Drones became an integral part of our life. Furthermore, these devices are always in the center of attention and people still learn the possibility of using them in different spheres of life. Recently, there was held a well-known “Drone for Good” competition in Dubai. The overarching aim of this event was to create the innovative technologies that can be transformed into practical solutions. 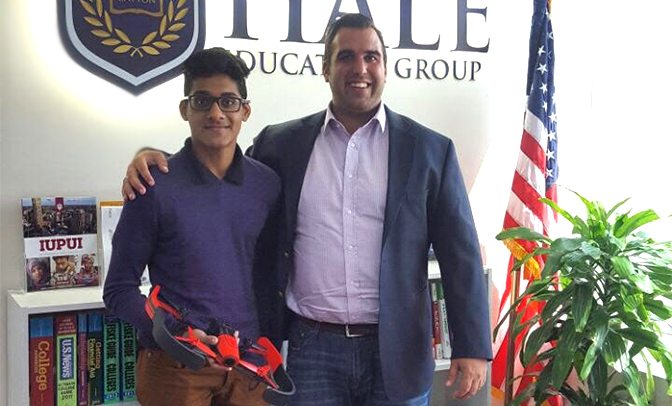 The invention of a young 17-year-old guy of Indian heritage, Dhruv Karthik definitely impressed everyone. This young man became the youngest finalist in the history of this event. He had very strong competitors – hundreds of teams that consisted of graduate students and university professors. Nevertheless, this young man managed to withstand the competition and became the finalist! For What Achievement was Dhruv Karthik Awarded? A young man managed to create a firefly drone, which can enter unknown apartments and detect stranded people. First, this idea came to his mind several years ago, when he saw the devastating fire at the Address Downtown Burj Dubai. This tragedy happened on New Year’s Eve. The consequences of this tragedy impressed the young man so much that he decided to create a highly modified commercial drone with AI programming. The overriding goal of this device is to help firemen evacuate people. This drone operates even when it is surrounded by similar colored objects. Besides, it will work even in case it is partially occluded by another object. It works completely autonomously. The drone can easily avoid any obstacles that appear on his way. Firefly drone can identify people in the building even through the dense smoke. Besides, the young man developed his achievement in the way that any drone in the world can use the computer vision platform of FireFly. This device will definitely simplify the work of firemen and will help them save more lives without the necessity to jeopard their lives. It stands to mention that this young guy was the only finalist from the UAE. 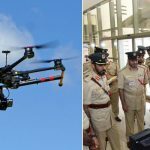 Drones in Dubai are very popular devices. Furthermore, there are many stores offering quadcopters for sale. Taking into consideration the popularity of such devices, everyone interested has a chance to buy drone in Dubai at rather affordable prices. The project of this young man was recognized as one of the most successful ones because it was the best solution which can really improve the life of people. For many years this young guy had passion for computer science or robotics. Now he plans to improve his skills in the near future. Dhruv had a mentor, Peter Davos, who helped him enter the university. Peter Davosconsiders this young developer to be a genius. He wants to help Dhruv achieve more during his studying at the university. Besides, Dhruv is a really talented young man who will definitely achieve success in the near future. Furthermore, the final competition for a Dh1 1 million grand prize will take place on 17/18 February. Let’s wish Karthik good luck in this competition! ← Phantom 4 Production Ceased?